Jonathan Thomas will follow the late Rick Violette as trainer of Grade 1 winner Diversify, the Daily Racing Form reported Tuesday, with owners Ralph and Lauren Evans selecting the East Coast conditioner to care for the 6-year-old gelding. 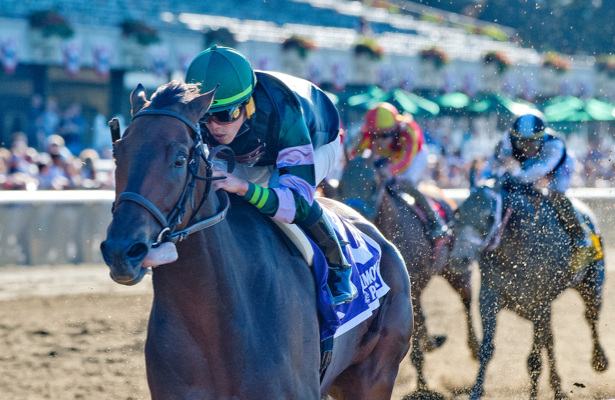 Diversify was fifth in his last race, the Sept. 29 Jockey Club Gold Cup (G1) at Belmont Park, but emerged as a leading older horse before that, breaking the two-minute mark in July’s Suburban (G2) before cruising on the front end again in Saratoga’s Whitney (G1). legacy transcends those results. He was known for advocating for horsemen, particularly in New York, where he opened his stable in 1983. Race plans will be determined later for Diversify.